This Valentine’s Day, don’t give your loved ones the same old store-bought card you buy at the last minute every year. 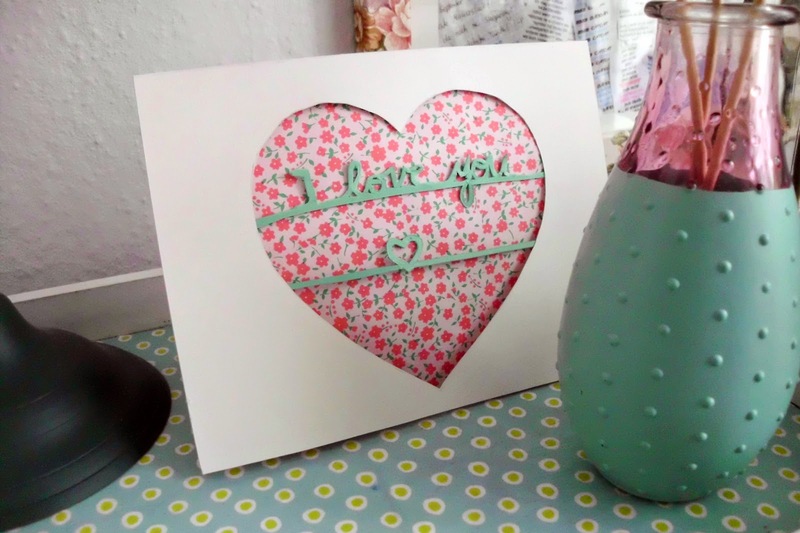 Make them a Handmade Valentine’s Day Card that they’ll love and treasure forever. Don’t you remember making your mom a heart-shaped Valentine out of red paper when you were little? Your mom most likely held on to that card for years because it reminded her of how cute and little you were when you made it. Well, you might not be as cute and little anymore, but that doesn’t mean you can’t give your loved ones a thoughtful, original card that will invoke more emotion than your average store-bought greeting card. This gorgeous card-making craft is a big step up from the cards you made as a kid, but it carries that same sentiment. With a multi-level surface, this DIY Valentine’s Day craft is elegant enough to give to anyone, from your significant other to your friends and family. It’s also ridiculously easy to make and customize to your own personal style—just pick out your favorite colors and what you want it to say, and you’re ready to have fun making this heartwarming Valentine’s Day craft! In love with this project? Head over to Curious and Catcat to make it now! We want to know: what’s your favorite DIY Valentine’s Day craft?